“Defoliation”, or simply “pruning”, is a method used by hemp farmers to clean up the older leaves on the bottom half of the plant. Hemp Defoliation allows for more effective absorption of minerals, H2O, CO2, and light through the younger and more “chloroplast dense” upper leaves of the plant. Getting the most out of your hemp plants is something that every grower is looking for, but how do you ensure that each plant has the optimum conditions for maximum growth? Defoliation. These are different styles or methods of how defoliation/pruning is applied. They differ by the area and amount of plant material being removed. How it Hemp Defoliation Works? When each plant begins to grow it absorbs moisture, light/warmth, and minerals from the soil. The larger the plant grows, the larger the bottom leaves become. These bottom leaves absorb more light for photosynthesis (energy/sugar production). So if this is ture, then why would you ever want to trim the older, larger leaves from the bottom of the plant? The case for defoliation comes from microscopic research done on lower leaf cells. The older, larger leaf cells when observed under a microscope, show a decline in the amount of cells with chloroplasts. This means that the lower leaves are larger by volume, but not necessarily larger in terms of energy production. The younger leaves from the top ¾ of the plant are more dense in cells with chloroplasts. They produce more energy per square inch of leaf surface. This shows that though the bottom leaves may be larger, they are not as productive as other smaller leaves near the upper ¾ of the plant. Defoliation is a highly debated topic among growers in the cannabis community. While the industry can’t seem to settle on whether there is a benefit, it is common in other argicultural fields. Farmers familiar with growing fruits, vegetables, and landscaping fields have used defoliation for generations. Trimming the lower leaves from the plant allows for the minerals, H20, and sugar, that were being used as fuel for those leaves, to be moved into feeding flower buds, more productive upper leaves, and adding density to the stalk. There is enough scientific research to make a case for defoliation for energy production, but also for a higher quality finished product. Removing the bottom branches and leaves allow more efficient absorption of light, increased yields, and better ventilation. These factors not only allow for high quality finished products, but also lower risks for bacteria, fungus, mold, and mildew on close proximity plants. Allowing for more peace of mind in maintaining your crop. Once the excess foliage has been removed, the plant no longer has to provide energy to these low yield areas. That means the energyis transferred to high yield areas, such as: flowers, leaves, or stalk density. This allows for the highest quality output regardless of your final application. For beginners, we advise in letting your crops grow for at least one full season before implementing defoliation/pruning methods. This allows you to observe the natural growth patterns in the plant. Additionally, you’ll assure you can successfully maintain a crop with no added external stressors on the plant. Defoliation can be harmful if done without adequate knowledge of the proper methods, timing, etc. Remember, happy, mineral dense, well drained soil is priority in maintaining a sustainable crop year after year. Happy plants live in happy soil, so keeping the soil happy with proper soil-care practices should always be priority. All other secondary care methods for the plants (defoliation/pruning, fimming, lollipopping, HST, LST, Super-Cropping, SCROG methods) are void if your soil is not in great shape. We feed the soil. It feeds the plants. Once you are confident in your ability to care for a crop for a full season, defoliation/pruning methods can be used to further the quality of your hemp harvest. 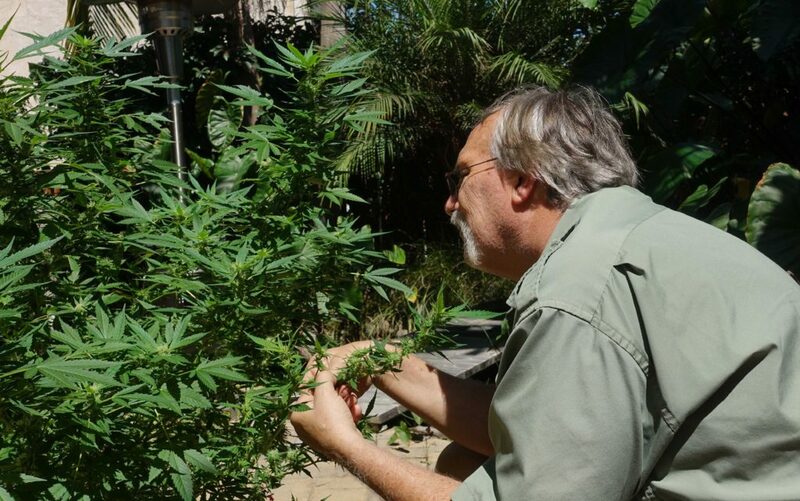 If you plan on trimming your plants for the first time, experiment with only trimming a few and comparing them to the other un-trimmed plants. This way you can analyze the difference between the plants first hand. Before trimming any leaves/branches from the plant we want to make sure it is well established and strong. 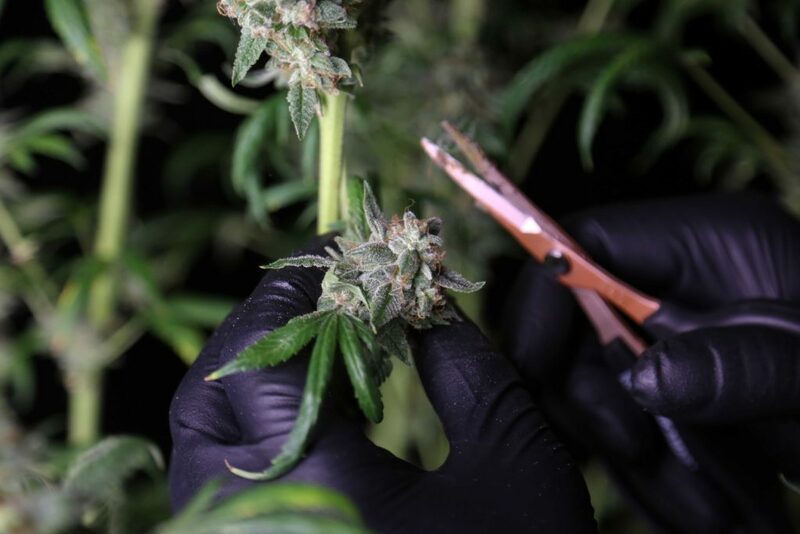 Any trimming done prematurely will result in negative effects on the plants growth patterns, as opposed to enhancing them. Again we want to help the plant utilize its energy storage, not make it stressed and struggle. 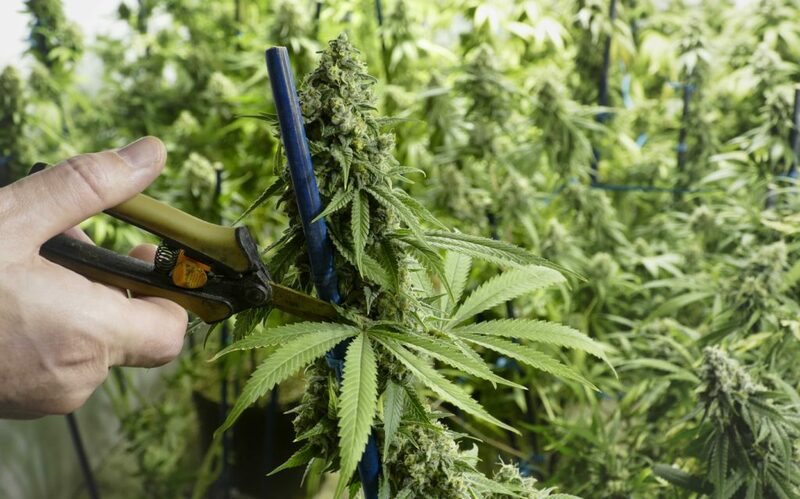 Once the plant is 8-10 weeks old and begins its first flowering cycle the plant should be established enough for trimming. Make a clean incision as close to the main branch as possible for clean removal. What to Remove When Defoliating Hemp? You can start with bigger branches near the bottom of the plant. This will free up space more quickly and allow for easier inspection of the plant. Do not tear/break branches off the plant by hand. This will increase the risk for contamination and infection, and add unnecessary stress to the plant and slow down recovery/production. Be sure to use a sterile blade regardless of your choice of trimming tool (sheers, clippers, razor blade, etc.). This will minimize the risk of contamination or infection at the removal site. What to Do After Defoliating Your Hemp Plants? After defoliation/pruning your hemp plant should be water immediately. This will allow the plant to replace any water it needs for repair and recovery with minimal stress. After 2-3 days the plant’s leaves should be more “lifted” and “perky.” This is a sign it is recovering properly and utilizing the new pathways for nutrient absorption and growth. Defoliation/Pruning can be done for 2 weeks once the first signs of flowering are observed (8-10 weeks from planting). After this two week period the plant will begin to use its energy for flower production and any defoliation will negatively affect the bloom, due to adding unnecessary stress and removing necessary energy storage for the flowing cycle. Make sure to remove all the branches, leaves, and buds you plan on removing before this point. This ensures your plant has enough recovery time and is ready to provide a maximum quality harvest in the coming weeks.